We all know what happened the last time Audi and Porsche came together to make a vehicle. 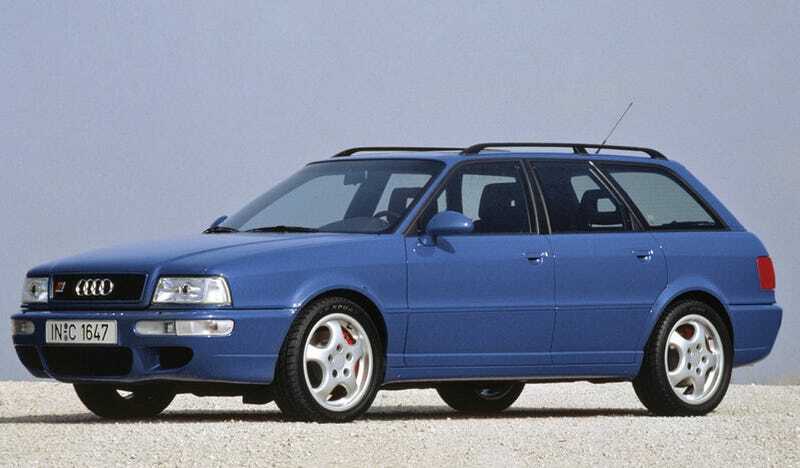 It was the legendary RS2 Avant and now the two automakers will again work their collective magic on a range of upcoming cars. According to Automotive News, VW Group CEO Matthias Mueller is looking to streamline vehicle development between the two luxury car companies. This is a key strategic change after years of inter-brand competition for resources. Porsche and Audi said the focus was on jointly developing shared vehicle platforms, modules and components, in a deal that follows a period of intense in-house competition for development resources. Projects will be jointly headed by representatives from each brand. In the coming months, joint teams will prepare the specific areas of cooperation and define a roadmap to 2025, they said. Despite being traditionally a sports car maker, Porsche has become development rival to Audi especially now that the new Panamera platform will be used by Bentley for the next Continental. In the aftermath of the dieselgate scandal, Audi lost key personnel from engineering and development and the Volkswagen Group has to find ways to streamline costs given the massive settlements that it has been ordered to pay out. Currently, Audi develops many of the platforms for Porsche’s SUVs, and Porsche has taken over V8 engine development for the group, even though Audi has made some formidable eight-cylinder motors recently and has its own engine plant in Hungary. As for autonomous and electric vehicles such as the Porsche Mission E and Audi E-Tron line, the report indicates that each brand will retain their own unique development of those cars.